Recently, the Farmington Historical Society received yet another priceless gift from a community member. 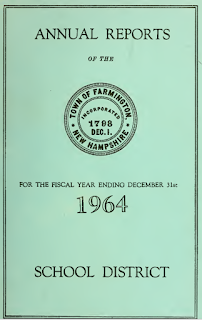 Long time, local resident and active community volunteer, Dottie Bean gave a varied collection of Farmington Town Reports and Farmington School District Reports. 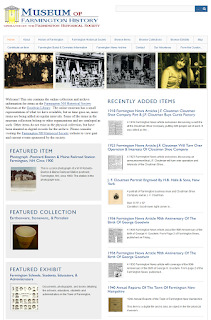 The town reports in the gift lot range from the mid-fifties to current years, the very decades the collection currently needs to acquire to have a complete set from the 1870’s through the early 21st century. Even if we come up short on more than a few years, this moves us much closer to that goal. 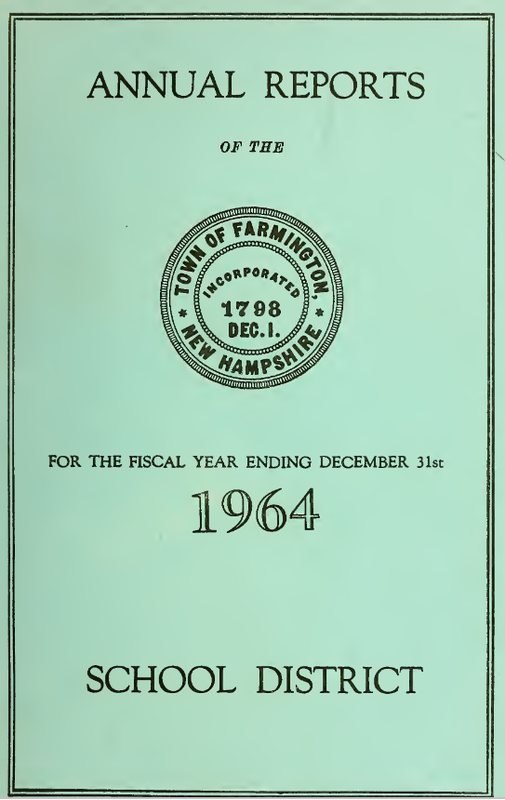 Also, though fewer in number, the donated Farmington School District Reports are greatly appreciated as the society has so few representations in the collection. 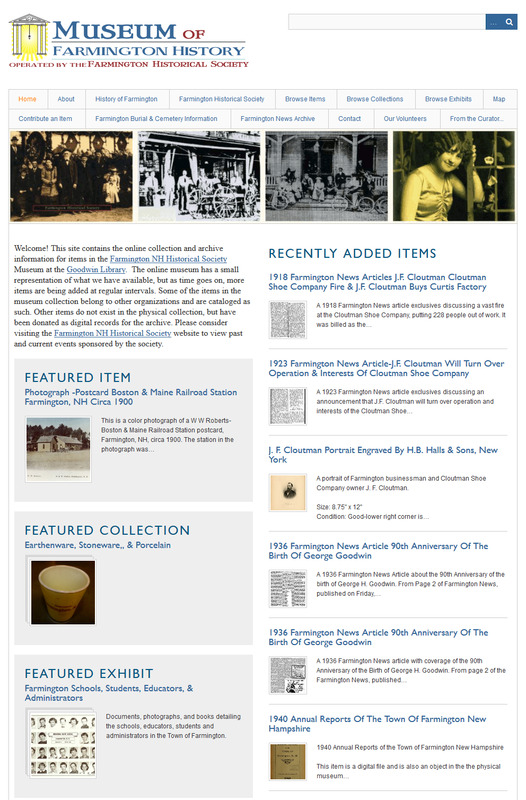 This donation will add to the museum exhibits for culture, schools, buildings, businesses, and notable persons, as well as providing some information on births, deaths, and town statistics which can be invaluable for genealogy work. The donated items are in very good condition, which even if duplicated, will allow us to choose the best copies for archiving in the collection for posterity. It is with donations like this that the society is able to continue to build and diversify documentation for the historical record and further develop understanding of our town and those who lived in it before us. We are extremely thankful for this gift from Dottie and welcome the opportunity to protect these historical treasures. Members of the community have been so generous this year I hate to ask for anything else, but this is an important plea. Class photo cards and year books are terribly important markers for not only the people in them, but as representations for each generation and for the decade they are created in. 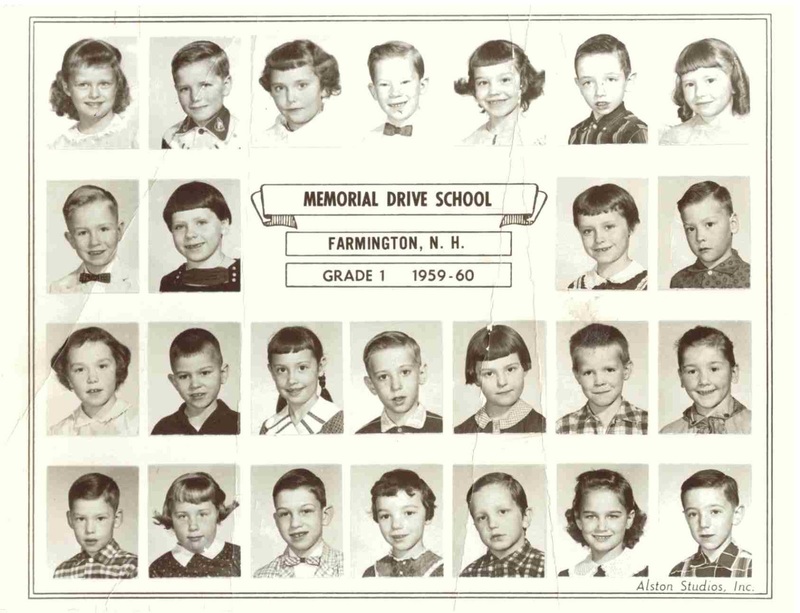 We don’t have many class photo cards or yearbooks in the museum collection. As people pass on they are often thrown away or stored, never to be seen again. Every one we get has tremendous cultural value and increases what we know about our community.. If you can part with them we would love to have them as part of the permanent museum collection.